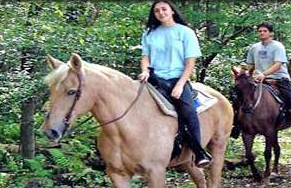 Horseback Trail Riding in the Great Smoky Mountains through Nantahala Gorge. Various trip lengths available from 1 hour to full day rides. Reservations are required. Enjoy the peace and tranquility of a family horseback riding adventure.